Swift and technical translation by expert translators for your legal, retail, medical, manufacturing, financial and promotional documents. Easy-to-scale and efficient translation for your e-commerce business with robust translation APIs guaranteed to attract customers. Quality website localization to provide careful review and adaptation of linguistic, cultural and technical aspects of target websites. Robust and quick video translation and transcription services by expert translators who are skilled at voice-overs, subtitling and captioning. Flexible and swift e-learning translation that will help you in choosing a best-fit service for your e-learning projects. Professional and optimized services for desktop publishing managed by highly skilled DTP specialists and graphic designers to adapt your content. Our class apart services keep us ahead of our competitors in the translation industry. We value our customers, so what we deliver is not less than the best. We have specially designed packages to address the translation needs of all our customers. Our affordable and competitive prices start from $0.05/word so that all the businesses can pursue their dream of going global. We believe in facilitating our customers to the maximum. So, we are marked by the fastest turnaround of 2000words/day and our translators strictly follow deadlines. We also go extra miles in case of emergency project delivery. We cater to the translation needs of all the industries. No matter what the genre is, we have got you covered. We have devised the simplest and seamless mechanism for you to place translation order. Getting your global success is just a matter of 1, 2 and 3 – simple! Track different stages of the translation process and communicate with the translator. Our language translation services span to over 90+ languages. We have over 3000+ native translators who hold a great command of their area of expertise and specialist in their language, so what we deliver is sheer brilliance and excellence. We provide API integration for your Websites, Desktop Apps, Mobile Apps and software that enable you to get your content seamlessly translated without handling any files. Whether you are developing a mobile application, desktop software or websites, our state of the art API integration system will save you an incredible amount of time and resources. We support all languages including Java, PHP, Node and Rails. Since our startup, two decades back, we have been getting better and better only! - by Sherry Manager Marketing Dept. Join the Mar’s community and work with our cutting edge platform on a wide range of projects according to your expertise. Every client and project has distinct requirements when it comes to handling them. Mainly due to the fact that all projects differ on the basis of their size, industry, and language. Hence, we make sure that every order is treated with a personalized protocol. Our translators hold experience in many different industries from Education to Medicine and everything in-between. This means that the translator assigned to your project will be heavily vetted to make sure that they have the necessary skills for the job. At Mars, you will get Professional translation services at the fastest turnout. Professionalism is a Major pillar for the foundation of Mars Translations. We understand that time is of the essence to all of our clients. Hence, we ensure the deployment of ample resources to ensure that all of our deadlines are met. We ensure that our projects are assigned to Translator’s perfect to provide an accurate solution. Mars Translation is a sister company of CCJK, which has worked in the translation and localization industry for almost two decades. Our Clients include some of the leading corporations in the world. Among them are General Electric, Bosch, Nuance, and many more. Mars Translation has worked with companies from many different fields in the market from all around the world. Compared to other industries in the market, we have an extensive network of experts who make sure that our clients from all across the world can rely on us for all there translation needs. Customer outreach is very important to us. And whether you are in Afghanistan or whether you are in Toronto, we will make sure our platform provides all the translation services required. We consider your orders to be more than just documents to translate. During the rendering period, we ensure that all socio-cultural aspects are taken into account. We take into regard all regional connotations that are attached to the project to avoid cultural appropriation. We make sure that our translators pay high regard to the cultural implications of the words they use. Operating in an international market, we ensure that cultural sensitivity is not compromised in the translation. We believe that these factors play a major role in creating a positive for our clients. Mars Translation is one of the market leaders in the translation industry. Our professional translation services include translation, interpreting, multimedia, localization, and desktop publishing among others. Our online portal acts as a single globalized platform for companies from around the world. In a rapidly globalizing world, certain companies and individuals require the localization in order to be able to conduct business in various linguistic vicinities. Mars Translation makes it easier for these companies and personnel to translate and localize their content in such a manner that opens these companies up to customers from various different countries and cultures. The workforce at Mars includes some of the world’s best and brightest professional translators for online translation services. 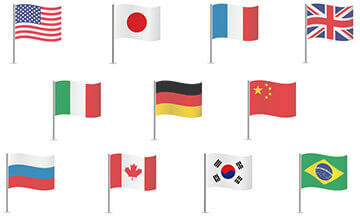 It is very common for companies operating internationally to require certain documents of threes to be translated into different languages from regions where they operate or serve. For such companies, we provide world-class translation services at some of the industry’s best rates with professional translators that can translate your documents into your required languages ensuring a swift transition in the flow of communication. At Mars, we also provide high end certified translation services. The rise in the popularity and market value of e-commerce and m-commerce has rapidly increased the globalization of commercial business in all sectors. And with that globalization has come a much a higher demand for the localization of e-commerce businesses. Our translation services will provide you with e-commerce localization services that will, in turn, localize your platform according to your needs and will correspond with the area linguistically. Our e-commerce localization will provide a personalized and localized communication link between your e-commerce platform and your potential customer. This will allow you to create a communication stream with your potential customers with feedback and correspondence both being conducted in the translated language among other things that will make it easier for you to expand into new territories. Our website localization services will allow you to expand your horizons into a new market where you will be able to tap into thousands of potential customers. The global market is competitive and the best companies are operating in more than one language to ensure they reach the broadest segment of their target market. With our localization services, you will get a multilingual website which will allow you to tap into countries with different language norms. Our services will be able to translate your websites into native languages into multiple target languages without the need of changing the coding of the website. Visual communication is one of the most important tools when it comes to interacting with your potential customers and attracting higher sales. And when you operate in a global market, you visual communication will come in the form of more than one language. Hence, mars translation will be able to provide you with transcription, translation, subtitling and voice-over facilities helping you visually communicate with customers from various linguistic backgrounds and thus boosting your global outreach. Our main aim at mars is to expose our clients to new markets so that they are able to tap into new customer bases and expand the span of their target market. Mars has the best it experts in the industry who will make sure that your software if localized to fit perfectly with the new market that you want to enter. One of the most key aspects while working in the translation industry is to ensure that the integrity of the page layout is maintained during the translation process. We ensure you that your files will be managed in the best possible way and whether we are managing your file formatting and layout or whether we are performing file conversion, we ensure the guarantee that we will provide the best translation services. At Mars Translation, we like to think of ourselves as something more than just a translation service provider in the conventional sense. In fact, we like to think of ourselves as a comprehensive manager of all translation needs that our clients may require either at a personal level or a commercial level. therefore, whether you are just an individual customer who wants to translate a few documents for your own personal needs, or whether you are a global business that wants to work with us on software localization, we will make sure that our solutions are not only comprehensive but also up to date and perfectly suitable for what you are trying to achieve from our services. Our aim is to help you on the road to success, in a world where markets are rapidly globalizing and becoming international, it is important for businesses to have an agency that they can put their trust in. and we aim to be the translation industry in which you can put your trust in. Having been in the industry for over 17 years, we know that our customers want their work done fast and accurately. However, in some cases, the price that businesses have to pay for that speed is the loss of quality. However, our experience has allowed us to develop the most feasible and accessible way for our customers to avail of translation services. Being one of the market leaders in the translation and localization industry, Mars Translation Services Company prides itself on being a very affordable translation agency with professional translation services. You can Compare Us to other translation agencies in the market. We also make sure that before our customers place there order, they can review the prices and see which translation category is the best. We ensure that our clients feel satisfied with our prices before they place an order. You can get an Instant Quote from our website before ordering. Our Prices normally depend on various factors, one of the most important of which is your language pair and industry. The type of package availed also has an influence. A standard package costs about USD 0.04 per word and the professional package costs USD 0.06 per word. You can also get some of the best rates in the industry for localization at our agency, with website localization starting at just USD 400. We believe in creating long-term relations that stand the test of time. And for customers who work with us regularly, we provide special discounts. Our customers can buy Mars Credits, which they can use to avail savings of up to USD 140. At Mars Translation, we have a high capacity staff of over 5000-Plus translator, with each specializing in a specific language pair(s). Currently, Mars Translation provides the best online translation services in 90 Plus Languages ranging from Mandarin to English to Tamil. Our Customers can also choose Regional Dialects of languages. We have regional dialects for many languages available. Including different Portuguese, French and Mandarin regional dialects. Being a leader in the international market has given us the privilege of being able to hire industry-specific experts. These experts are able to use the correct language in a creative manner. Making sure that the right grammar is used relative to the context of the file. We have experts in over 22 different types of industries and you can choose the expert that suits your industry. This will make sure that the language used in the project correctly translates the jargon and technical terms to the satisfaction of the customer. Even if your specific industry is not available on the form, you can contact our Support Team to find out which option best suits you. From the moment you join Mars to the moment you receive your finished product, our support team will make sure that your order is completed to your satisfaction. Our websites algorithm ensures that your orders are only completed by the most efficient and effective of our translators. Following the progress made by the translator on your project is also easy. You can chat with your designated translator through the task page at all times. It is also very easy to contact our support team during the project, our contact system is streamlined to make sure that we fulfill the promise of your order being fulfilled smoothly. The unique platform built by mars translation allows for translators and clients to work towards their mutual goal. We have a unique system that allows for Mars Translation to be able to get the services of the best industry experts. These translators, in turn, provide their services to clients who want to avail a wide range of services provided here.